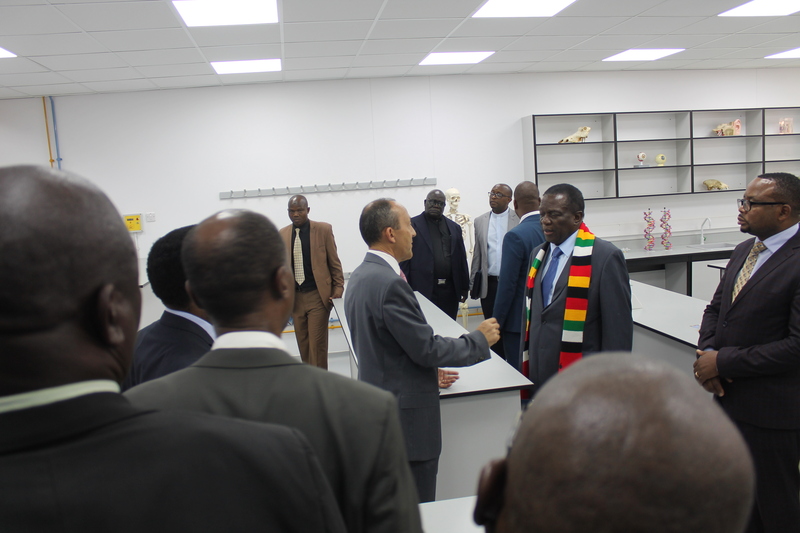 On Friday 30 November 2018, we welcomed His Excellency, The President of the Republic of Zimbabwe, Cde Emmerson Mnangagwa to officially open our state-of-the-art Fr Michael Ross SJ Science Centre. This wonderful occasion was testament to the implementation of our vision for the future. This highly contemporary designed Centre accommodates 330 students at one time, boasts 11 laboratories, 3 preparatory rooms, a staff room, offices as well as first-world safety features. The layout of each laboratory, including a 60 inch interactive TV screen, creates a modern learning environment that redefines the educational paradigm for the sciences. Plaques in recognition of OGs’ achievements in sciences and technology are displayed in the Centre, which bears testament to the collaborative teaching and learning, critical thinking, innovation, and problem-solving which they learned at the College. This teaching methodology continues for our students today in this new facility.